This survey was completed by 34,525 participants in the U.S. The researchers found that Chiropractic is a commonly used approach to treat neurological and musculoskeletal conditions, with approximately one-quarter of the population reporting the use of chiropractic care. The survey also asked participants to report the changes they had experienced as a result of chiropractic care. Respondents were overwhelmingly positive in their views regarding the benefits they had noticed, with 96% of people reporting that chiropractic helped them with a specific health problem. As well as helping with a specific health issue, the vast majority of participants also believed that chiropractic care was helpful for their overall health, with 91% stating that chiropractic was helpful for maintaining their health and well-being. • 13% had improved relationships with others. When asked why they chose to see a Chiropractor, one of the most common reasons (as reported by 62% of respondents) was that chiropractic treats the cause of their problem and not just the symptoms. 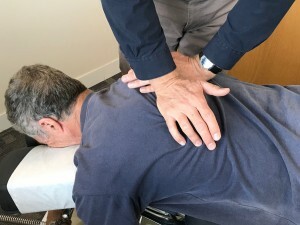 These survey findings highlight a high degree of satisfaction among people who have experienced chiropractic care and suggest that you too might benefit from seeing your Canberra Chiropractor.